St. Tammany Parish Sheriff’s deputies were called Tuesday afternoon to the area of East Elm Street in Lacombe, LA after a woman’s estranged husband forced his way into a residence where she and her child were staying. Shortly before 2:30 p.m. Tuesday (Dec. 18), Keith Bickham (DOB 7/28/1985) arrived at a Lacombe-area home where he forced his way inside of a residence and pushed the victim to the floor. Bickham then followed the victim to her place of employment before fleeing the area a short time later. 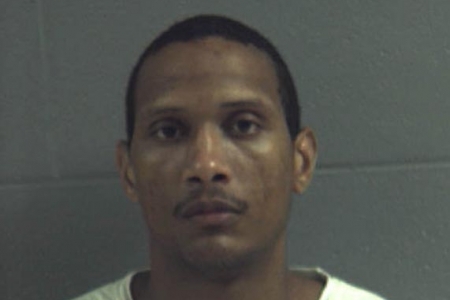 At the time of the incident, Bickham was an inmate being housed at a private work release facility operated by Lock5, LLC in Livingston Parish. Deputies learned he had taken a pickup truck from his employer and used it to drive to Lacombe. With the cooperation of deputies from the Livingston Parish Sheriff’s Office, Bickham was taken into custody upon his return to Livingston Parish. Any questions concerning Bickham’s incarceration or participation in the inmate work release program should be directed to the Louisiana Department of Corrections and Lock5, LLC, respectively.